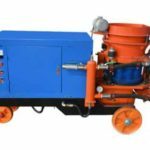 Mortar spraying machine, a kind of spraying machine can be called mortar sprayer, mortar spray equipment, cement mortar spraying machine, stucco machine which has a wide range of uses. It is commonly used for indoor and outdoor wall spraying, cement mortar grouting, bridge grouting and waterproof, fireproof, ceiling, wall, paint, garden spraying, as well as relief effect coating, sound-absorbing material spraying, waterproof plugging and filling. 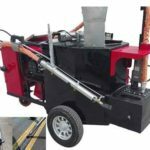 The mortar spraying machine is very easy to operate which don’t need scaffolding, mobile equipment, even the small corners and roof can be freely spray. The use of this equipment can greatly shorten the construction period, improve work efficiency and save the expense of shelf materials. To meet the needs of different building sites, Henan Yugong Machinery Co.,Ltd, a reliable machinery manufacturer has designed and produced many different models of mortar sprayer for sale. In addition, we also have special putty spraying machine for sale. 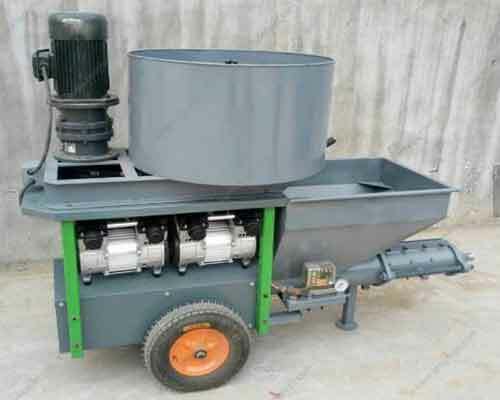 Customers can refer to the picture of different mortar spraying machines and the parameters for selection. And then you can send us email or call us directly for price list and more details. 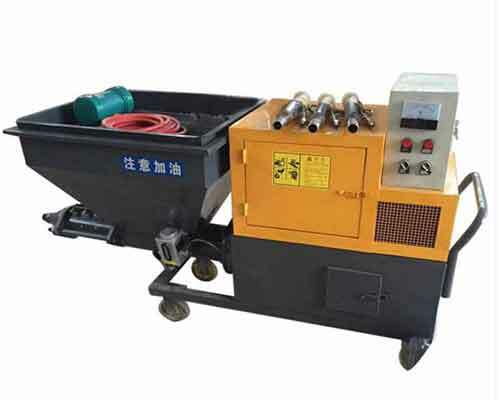 The machine is not only suitable for spraying cement mortar, but also suitable for some other materials, such as, putty powder, latex paint, true stone paint, dry powder mortar, thermal insulation mortar, waterproof material, fireproof, thermal insulation material and other water-soluble materials. 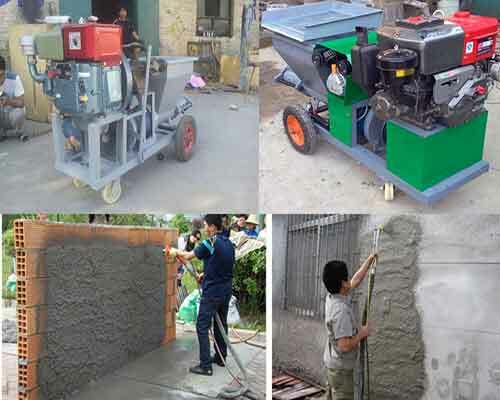 Compared with the performance of traditional hand-made powder wall, plastering and other spraying machines on the market, the cement mortar spraying machine in our factory is more efficient and cost less. 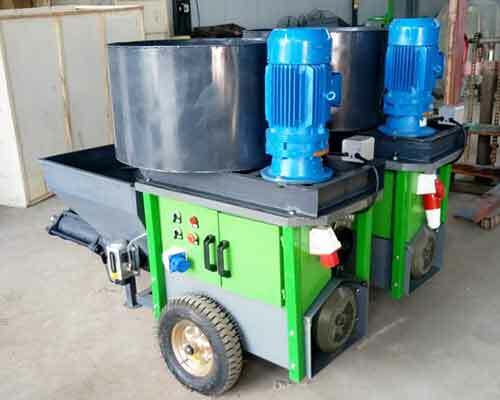 The mixing and spraying machine equipment both main motor and stirring motor is one of the best-selling mortar sprayer machine in our company. The equipment is electric and can be used by switching on the power supply directly, and the the voltage requirement is 220V to 380V. One of its biggest features is that its air compressor is noiseless. In addition, its ultra-high quality can reduce many maintenance costs. Contact us to tell us your more requirements of this machine, we will reply you as possible as we can. The automatic spray plaster machine is more efficiency than other models which is a kind of mixing and spraying machine. 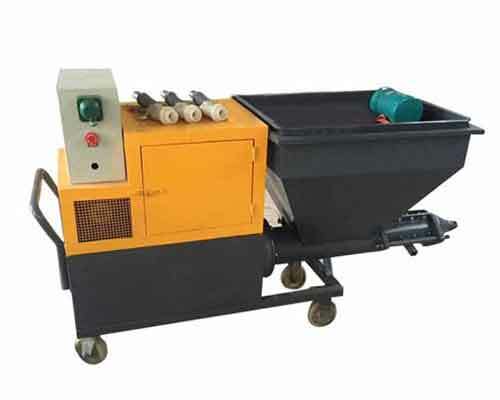 Operators only need to put the water, ash and sand into the hopper in a certain proportion and press the switch to start stirring, the machine can automatically mix the materials evenly. The model is equipped with a twenty meters of spray pipe, an air pipe, one mortar spray gun and five types of nozzles. You can choose the suitable nozzle depends on the construction conditions. The volume of hopper is 60L. The vertical transport distance reached by this machine is 20m and the horizontal transport distance is 40m. So without moving the equipment, workers can do high attitude and long distance construction. If the model can meet your needs,please click the enquiry button below the picture to contact us for quotation now. 1.Adapt to your various needs. Workers can easily adjust the mortar flow by themselves depends of the the construction conditions to achieve the best spray effect. 2.High construction efficiency. 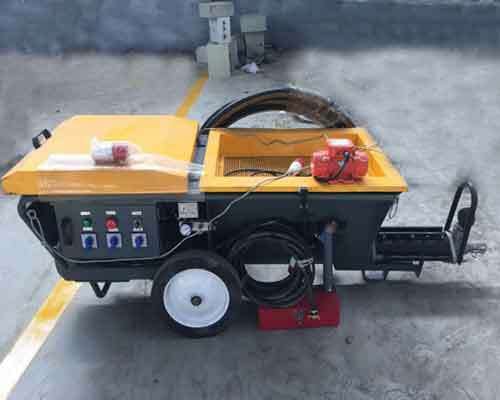 A mortar spraying machine can spray more than 100 square meters per hour easily, spray over 1000㎡ per day, which is the equivalent of twenty experienced workers a day’s work. 3.Saving cost. First, a mortar spray equipment equipped with three workers can compete the work of twenty workers a day, which can save a lot of labor cost. Second, it won’t produce floor dust when used, as well as reduce the waste of materials and dust pollution. Third, the savings of water and raw material can reduce costs by more than 20 percent. 4.Convenient to use. Refer to the machine manual,operators can easily learn how to use it. The connection between the spray gun and feed pipe can be rotated for easy operation. 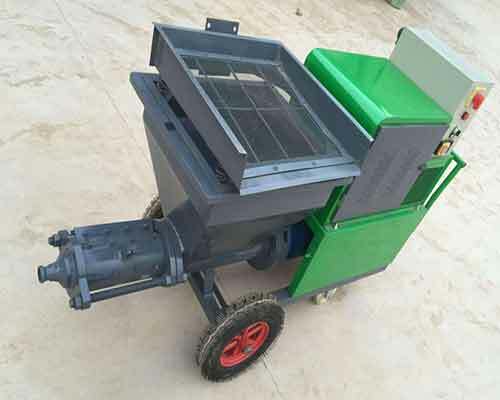 In addition, the machine is small in size and easy to carry on construction site. 5.Uniform spraying and strong adhesion. The coating is smooth and fine, no brush marks are visible. The super adhesion can make the mortar integrate with the wall without the phenomenon of dropping dust, and also can extend the life of the coating.